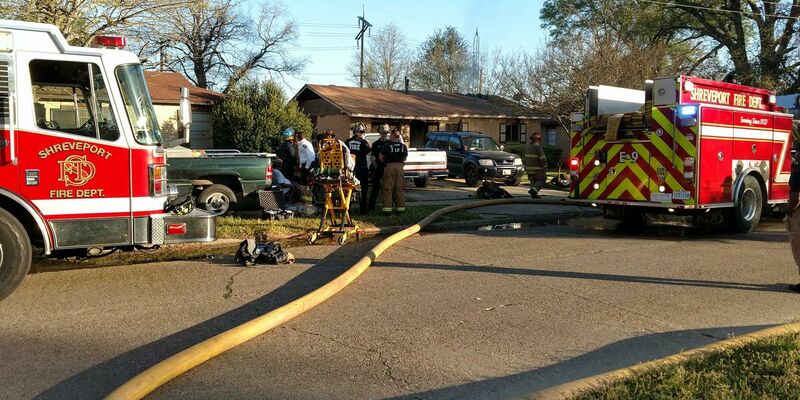 SHREVEPORT, LA (KSLA) - An elderly resident is recovering after trying to put out an early morning fire. Crews were called just before 8 a.m. to the 600 block of Bernard Boulevard in Shreveport’s Cedar Grove neighborhood, not far from Caddo Magnet Middle School. Crew members on scene say that the fire was under control in 10 minutes. However, the resident had minor burns from trying to extinguish the fire himself. He was treated on scene. His injuries are considered non-life-threatening.